Set in 1989 South Africa, at the height of the fight against apartheid, amidst the battle between the Inkatha and the ANC is Otelo Burning. The story follows three township kids who take up surfing on “Whites Only” beaches during off peak times. Sixteen year-old Otelo (Jafta Mamabolo) spends most of his time hanging out with his best friend New Year (Thomas Gumede). New Year’s mom has a licence to run a bar in her home where a lot of the neighbourhood spend their off hours. Outside of the bar, the other popular spot in Lamontville is the local pool. One of the locals Mandla (Sihle Xaba), who looses out to Otelo for the attention of New Year’s sister Dezi (Nolwazi Shange), invites the boys to a beach house, where his mother works as a maid, to try surfing. Otelo and New Year take to the sport right away and the three begin to spend most of their time together at the beach. It is there where a local experienced surfer (Kurt Struely) sees the trio and quickly notices their natural talent. He begins to work with the boys and encourages them to enter the Regional competition. He tells them that they not only have the talent to make Nationals, but to possibly become professional surfers as well. This causes the boys to become fascinated by the concept of world travel and all the things that come with it. Besides the surfing arc, Otelo Burning features a subplot involving Otelo’s close relationship with his younger brother Ntwe. At eleven years-old, Ntwe is very curious which often gets him into trouble. Otelo’s father is a hard working labourer, raising the two boys on his own, who has recurring dreams that Nwte will die near water before his thirteenth birthday. As a result, their father does not want Ntwe to go in the water as he is convinced that there is a large snake in the sea. He also does not want Ntwe to take any chances, or do anything remotely dangerous, until he turns thirteen. Thus whenever Otelo and New Year are out late with Ntwe, Otelo has to always explain the situation to his father. 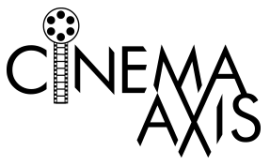 Director Sara Blecher attempts to juggle several tales within the film. There is the primary story about Otelo and New Year. Their relationship with a new found friend who introduced them to their sporting obsession. There is also the family dynamics between the brothers and their father. As well as a storyline involving the ever growing jealousy of Mandla over Dezi, and his realization that Otelo is a better surfer. 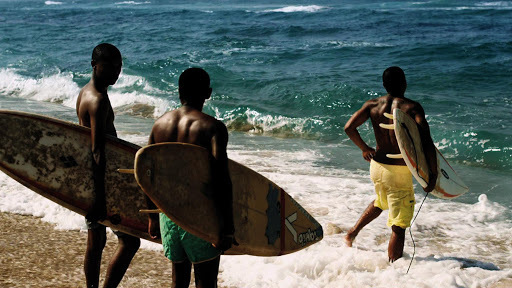 The most interesting aspect of the film though is how Otelo is impacted by surfing. 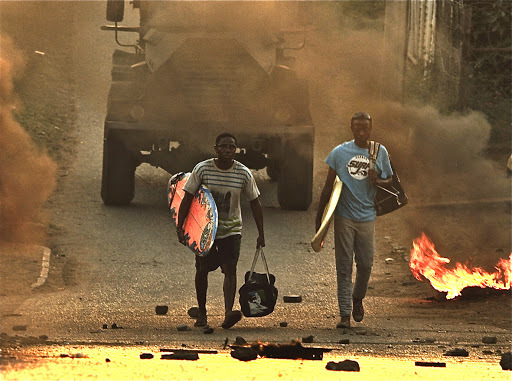 Otelo sees surfing as freedom from his small town which is agonizingly close to the Durban beaches. It is his escape from both the battles between the warring political factions, and the huge responsibility placed on him by his father that is clearly fueled by fear. Otelo sees the birds flying just above the waves and believes he can do the same on his surfboard. The cinematography by Lance Gewer in the film is a wonderful display of bold colours. The film features rich blue water, bluish green half-pipes and the white, to the point of clear, droplets from the spray of the waves. The bright blue of the sky vibrantly contrasts the sharp brown of beach on the screen. The surf scenes are backed by a bright amber glowing sun, surrounded by a darker orange background, that fills out the frame to where the sea hits the horizon. Gewer’s not only captures the beauty at sea but the harsh reality of country torn apart by war. One of the brilliantly shot sequences shows Otelo and New Year, returning from a surfing outing, walking through the site of a recent battle between the Inkata and the ANC. The fires are still burning on either side of the roadway, and smoke bellows upward as the boys march down the street followed by a government patrol tank. Casting Director Meshack Mavuso achieved varying degrees of success with his choices for the film. Thomas Gumede is good as New Year, the observer of the action and photographer of the groups surfing exploits. Nolwazi Shange is solid as his sister Desi. Kurt Struely is perfectly cast as the seasoned surf bum that guides and cultivates the troops’ talent. On the other hand Jafta Mamabolo, as the film’s title character, lacked emotion in key moments of the film Sihle Xaba as Mandela telegraphed the nature of his character from the outset thus robbing the viewer of some peaks in the story as the film progressed. Blecher presents an alluring film set in a volatile period in South Africa’s history. The story has some very good elements but is not without its flaws. It is beautifully shot and the surfing scenes are superbly done but as a narrative it falls a bit short.